← “Chelsea”- Norfolk Terrier mix-ADOPTED! You don’t have to drive to New Jersey to see Camden. 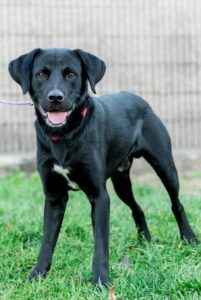 He’s your basic black Lab mix, only a year old, friendly as can be, ready for a lucky adopter to shape into the ideal family dog. CAMDEN wants to play with other dogs, and should do well in a home with kids. 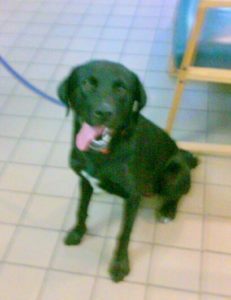 Lab lovers, do yourself a favor and come meet CAMDEN. . This entry was posted in Adopted, Adopted Dogs, Adult, Dog Center, Dogs, Male. Bookmark the permalink.